All activation details including unique links will be sent to your email address after purchase. 2. 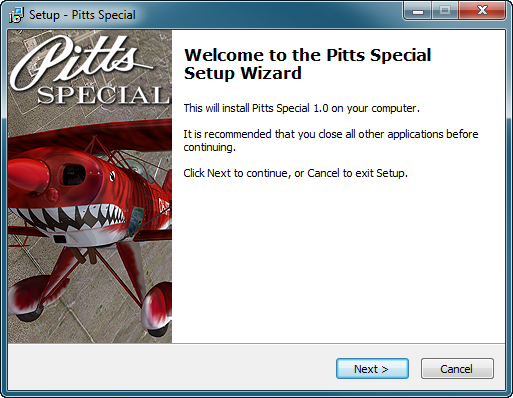 Run “pitts.exe” file on your computer and follow the instructions. 3. In the end of installation process a security key will be required. Select OK to start activation process. 4. 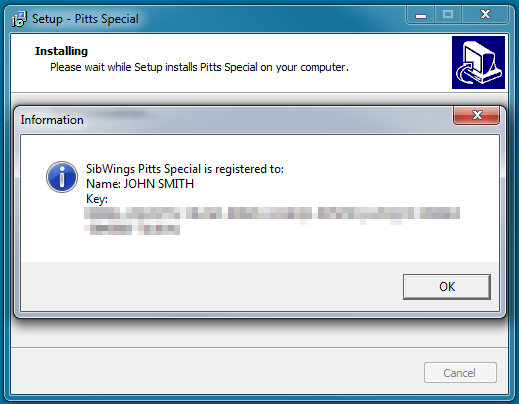 The next window will appear requesting to enter registration name and key. Note, that you can use your activation link ONLY once. You will be able to request new activation link ONLY two weeks after your 1st activation. 6. Paste “Hardware Fingerprint” and your full name in the fields. Note, that Name field should contain only Latin a-z letters and no any other symbols. Hardware Fingerprint should contain eight alphanumeric symbols divided with a dash (Ex. 0DC3-ED24). 7. After submitting this information you will receive your unique security key. 8. Copy and paste your key in the registration window and press OK.
9. Your activation is complete. 10. After the successful activation an information window will appear. 11. 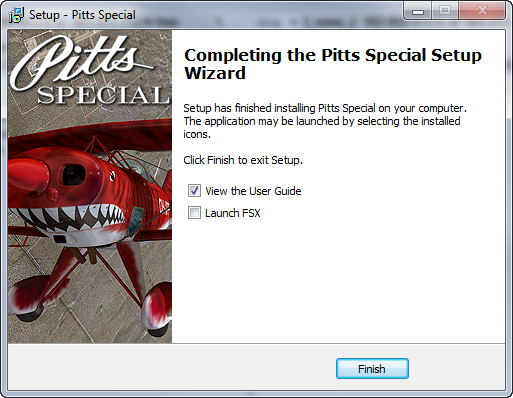 At this stage the Pitts installation is completed and you can look through the User Guide or enjoy Pitts in FSX.